Today’s a weird one. I think the general feeling will be restlessness, frustration, and a feeling of being compelled to do something, without being exactly sure what. We’re all going to find out what it feels like to have obsessive-compulsive disorder in some area of our lives, I suspect. We may wake up with the jitters as the Moon forms a quincunx (adjustment aspect) to Uranus at 2:56 AM EDT. A helpful Venus/Neptune aspect infuses our hearts with good feeling at 4:23 AM, but we’re back in the mix as the Moon and Mars connect at 6:24 AM EDT. As the Moon’s in Virgo, this may set off a chain over-reaction as we become unduly angry over details or freak out over all that small stuff that yeah, we know we’re not supposed to sweat. For the past few days we’ve been dealing with a planetary pattern called a Yod, also known as a “Finger of God”. Today Mars connects with Saturn (4:32 PM EDT) in the same aspect that Jupiter made with Saturn a couple days ago, and then tomorrow Mars will aspect Jupiter. The Mars/Saturn connection can make us feel like we’re being held up, that we have to tinker with the works too much and aren’t making any progress. We may have big plans but feel they’re not getting off the ground. If problems occur, just take it as a sign that something isn’t really working and changes are necessary. Use the Moon in Virgo’s instinct for improvement to analyze the situation and alter your course as necessary. What may seem to be a roadblock may just be a “course correction” that will ultimately get you where you want to be. Maybe not by the route you planned, of course. Sometimes you can obsess over something to the point of getting in your own way or making a task harder than it has to be, so the universe comes along with a little nudge every so often. Consider yourself nudged today. HELPFUL HINT: If you feel a compulsion to do something at all costs, take a break, step back and ask yourself why you’re pushing so hard. Break concentration and protocol if you get to that place. There’s a Mercury/Uranus aspect at 9:34 AM EDT; then the Moon aligns with Uranus and the Sun through 1:06 PM EDT, so we’re being asked to let go to our mental and emotional attachment to Things As We Think They Should Be. Order may be disrupted, but those interruptions often lead to new discoveries through flashes of inspiration. Since we’re also moving towards a Full Moon on Wednesday the 27th, the intensity is building. And since today also features the Moon trine Pluto ushering in another Void-of Course Moon period (until the Moon enters Libra at 5:32 PM EDT tomorrow), we may feel like we’re under fire, getting slammed by free-floating strangeness from every direction. Try and key in to the last major aspect of the day, the one the involves the Moon and Venus at 7:24 PM EDT, and take better care of yourself. 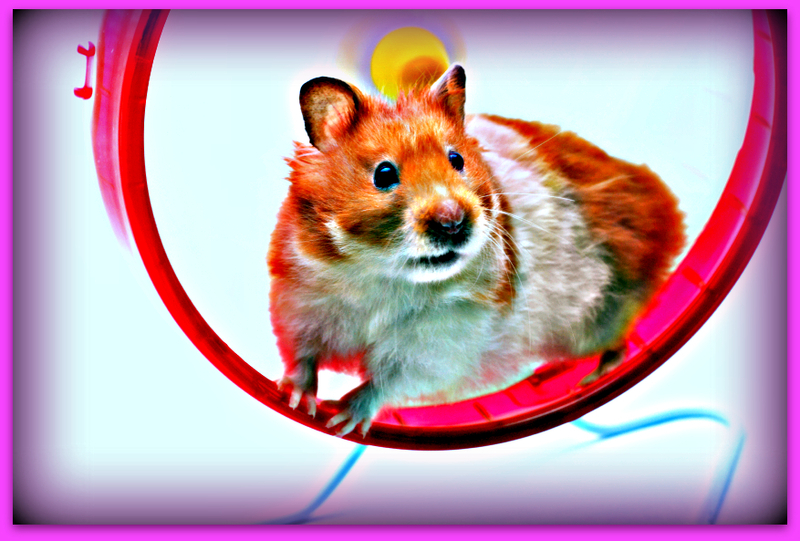 Even if you’ve felt like a forlorn little hamster on a wheel all day, do whatever is necessary to relax this evening. The Keyword for the Sabian Symbol is: “SET”. The Keyword for the Kozminsky Symbol is: “MENTAL PERCEPTION”. Today’s Kozminsky Symbol relates to Mercury (the caduceus) and Venus (the art of creation/the copper base of the caduceus). Mercury is the ruler of Virgo, and that’s where the Moon is located today. The metalsmith who creates in a forge, through metal and flames reminds me of the underworld gods Pluto or Vulcan and brings in the idea of transformation through being pared down to essentials, honed and molded by intense pressure and heat, with absolute skill. Kozminsky says the smith “glorifies the power of love and intelligence which he cements together.” Venus is the “love” part of the equation; Mercury is the “intelligence”, so we’re talking about divine intelligence here. It also tells us that without the proper foundation (love, care, concern), all the facts and figures in the world are just cold data. The caduceus is silver (the Moon’s metal) and is a symbol of healing, very appropriate for today’s Moon in Virgo. I’ve met a few chiropractors with Moon in Virgo and I always think of precise adjustment in order to get things flowing again when I think of the Moon in this sign. This Symbol is also about honing your craft/skills through practice and adjustment, which ties in with today’s array of aspects. We may meet resistance, but that’s what will ultimately make us stronger and better. The Sabian Symbol is a square, a geometric figure. Squares represent material reality, what we can see, feel or touch, and the natural world. In astrology, a square is a challenge aspect. Effort is required to make the two planets connected by the square work together, but it often produces good results once they get into the rhythm after the initial clash. This Symbol tells us to take a closer look, do a little more work, and be ready for new discoveries. We’re being asked to go beyond material appearance to find the essence. The fact that square is lit on one side indicates that we’re in the early stages of “enlightenment”. Hidden issues may surface. There may be an emphasis today on practicality, or making a decision after looking at all sides of an issue. Use today’s Virgo Moon to illuminate and get the full story, down to the details, before taking action. The down side here is a focus on material goods or wealth to the exclusion of all else, or obsessing over one thing so much that we miss what’s really important. We may also have to deal with issues relating to property, possession, and ownership today. “Use what you have” might be a good motto today. What are your resources? How can you marshal them? Don’t give up when faced with obstacles–adjust, change your perspective, and figure out what the emergence of a block or problem is trying to tell you. Both of today’s cards are Cups, and Scorpio cards, so the focus is on emotions, shifting parameters, currents and undercurrents, and what’s floating in the spiritual ether. This combination is letting us know that there are choices to be made, and that if we stay in a state of suspended animation, obsessing over “what-ifs”, it’s likely to lead to self-betrayal. Today’s astrological aspects are bringing us face to face with things we don’t really want to look at, but that’s where we find the solution. In order to move on from a negative situation, we need to see things as they really are, not as we’d prefer. If we’ve chosen the wrong path, it’s time to assess the situation and get moving in another direction despite all the regret and fear that may engender. Healing doesn’t happen overnight, and all our emotional patterns didn’t get set in stone overnight, either. We’ve fallen into some bad habits, particularly repeating the same actions (remember that hamster on the wheel); now need to make a few adjustments in order to climb out of that emotional swamp. The question to ask: “How have you betrayed yourself or worked against your own best interests?” What talents do you have that you’re not using because you don’t trust yourself?” This combination is truly a gift, as it helps open our eyes and see where we haven’t been working from our strengths. It’s not easy, but this card combo is telling us that we’re finally ready for total honesty, and that begins by being honest with ourselves.